In this paper, we explore the concept of flow-based load balancing of network traffic on multi-homed hosts. In contrast to existing approaches such as MultipathTCP, our approach is a client-side-only solution, and can there­fore easily be deployed. We specifically explore flow-based load balanc­ing for web and video traffic use cases. Experimental evaluations of our OpenFlow-based load balancer demonstrate the potential of flow-based load balancing. Akhshabi, S; Begen, AC; Dovrolis, C. 2011. ‘An experimental evaluation of rate-adaptation algorithms in adaptive streaming over HTTP’. Pro¬ceedings of the second annual ACM conference on multimedia systems, pp. 157-168. Alexa. n.d. ‘The top 500 sites on the web’. Retrieved from, http://www.alexa.com/topsites/global/. Accessed 25 Jan 2017. Al-Najjar, A; Layeghy, S; Portmann, M. 2016. ‘Pushing SDN to the end-host, network load balancing using Openflow’. 2016 IEEE international conference on pervasive computing and communication workshops (percom workshops), pp. 1-6. Al-Najjar, A; Pakzad, F; Layeghy, S; Portmann, M. 2016. ‘Link capacity estimation in SDN-based end-hosts’. Signal processing and communica¬tion systems (icspcs), 2016 10th international conference on, pp. 1-8. Chen, Y-C; Lim, Y.-S; Gibbens, RJ; Nahum, EM; Khalili, R; Towsley, D. 2013. ‘A measurement-based study of multipath TCP performance over wireless networks’. Proceedings of the 2013 conference on internet measurement conference, pp. 455-468. Cui, Y; Li, T; Liu, C; Wang, X; Kiihlewind, M. 2017. ‘Innovating transport with QUIC: Design approaches and research challenges’. IEEE Internet Computing, 21 (2), pp. 72-76. Handigol, N; Seetharaman, S; Flajslik, M; McKeown, N; Johari, R. 2009. ‘Plug-n-serve: Load-balancing web traffic using Openflow’. ACM SIG-COMM Demo, 4 (5), p. 6. Huang, T-Y; Handigol, N; Heller, B; McKeown, N; Johari, R. 2012. ‘Confused, timid, and unstable: picking a video streaming rate is hard’. Proceedings of the 2012 internet measurement conference, pp. 225-238. Langley, A; Riddoch, A; Wilk, A; Vicente, A; Krasic, C; Zhang, D; et al. 2017. ‘The QUIC transport protocol: Design and internet-scale deployment’. Proceedings of the conference of the ACM special interest group on data communication. pp. 183-196. Netravali, R; Sivaraman, A; Das, S; Goyal, A; Winstein, K; Mickens, J; Balakrishnan, H. 2015. ‘Mahimahi: Accurate record-and-replay for HTTP’. Usenix annual technical conference, pp. 417-429. Nikravesh, A; Guo, Y; Qian, F; Mao, Z. M; Sen, S.(2016. ‘An in-depth understanding of multipath TCP on mobile devices: Measurement and system design’. Proceedings of the 22nd annual international conference on mobile computing and networking, pp. 189-201. Perkins, C. 2002. ‘IP mobility support for IPv4’. RFC 3344. Wang, R; Butnariu, D; Rexford, J. 2011. ‘Openflow-based server load balancing gone wild’. 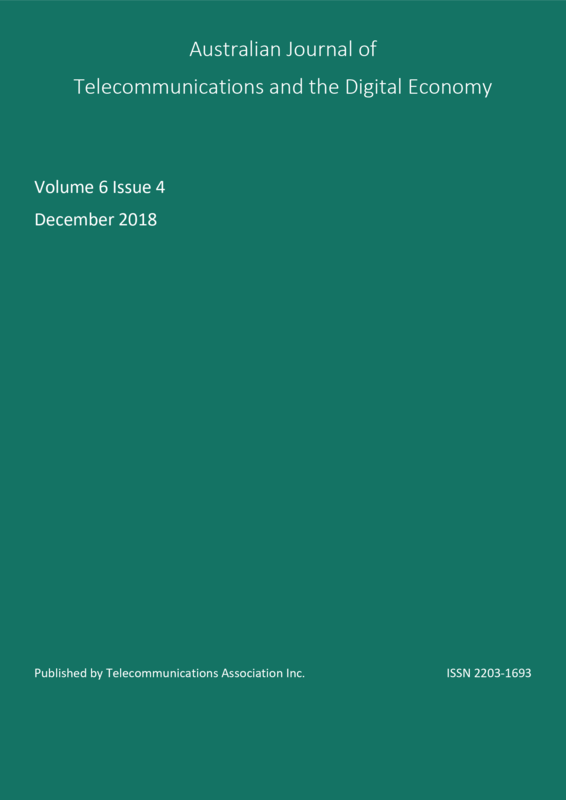 Hot-ICE’11: Proceedings of the 11th USENIX conference on Hot topics in management of internet, cloud, and enterprise networks and services, p. 12. Yap, K-K; Huang, T.-Y; Kobayashi, M; Yiakoumis, Y; McKeown, N; Katti, S; Parulkar, G. 2012. ‘Making use of all the networks around us: a case study in android’. Proceedings of the 2012 ACM SIGCOMM workshop on cellular networks: operations, challenges, and future design, pp. 19-24.